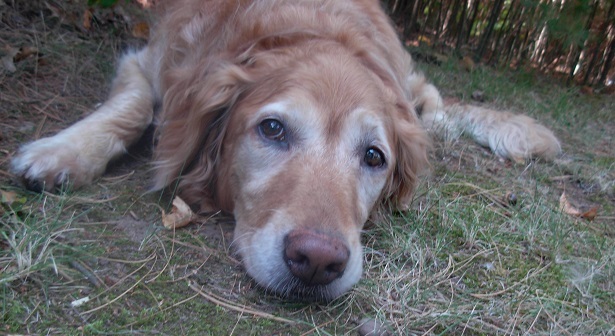 As some of you know, my family received the sad news last week that Elsie, our dear old dog, has cancer. And by the way, I sincerely appreciate all the kind comments left on Facebook, Instagram and elsewhere. It’s comforting to know so many of my dear readers, pet owners or not, understand how hard this is. Yes, Elsie is ‘just’ a dog. And yes, an old dog at that, but she is a family member no less. We will take things day by day. The cancer Elsie has is some type of leukemia. We’ve been advised it might be a slow progressing sort, or it may not be. We might get days, weeks, or even possibly months, though the latter is unlikely. I’m glad all three of my kids have been home to see Elsie one more time, although it’s hard to watch them say good-bye now. They realize an important part of their youth is slipping away. There’s something very sad, but yet incredibly beautiful about that as well; the special memories part I mean. No matter how much time we have left to spend with Elsie, we will fill that time doing things she has always loved to do most. She and I will keep blogging together. As I write this, she rests at my feet keeping on eye on things just as she has done every day since I began. Dear hubby and I will take her for walks, even if only up and down our driveway or for strolls around the yard. We will go for rides. We will watch her lounge in her pool. We will have campfires. We will feed her hamburger, bread, hot dogs and mac and cheese because these are the things she is choosing to eat now and our wonderful vet advised, “Let her eat whatever she darn pleases now.” We will pause umpteen times a day to pat her on the head and tell her she is a good girl. Mostly, we will love her. I am grateful that my family is getting time to adjust to this news, to prepare for what is coming. Even though I know it’s not really true, it feels as if even now Elsie is thinking of her humans by giving us this time to get ready and to say goodbye. And if and when that day arrives when we must make the tough decision to euthanize, we will do that as well. Dear hubby and I will listen and watch for when that invisible line has been crossed; that moment when we will decide it’s time. We have had the necessary discussions in our family and with our vet. We know what to do when that line is crossed. Speak for me. Help me to make the decisions that I cannot make. Do not ask me to tell you when it’s time for me to go… I love you and trust you, and I have depended on you all of my life to make decisions for me. Now, when I need you the most, do not fail me. Whatever you decide, I know it will be your best decision, and I wish you peace with it. Dear hubby and I have had pets euthanized before. I have never been in the room because I just couldn’t bring myself to witness such a thing. This time will be different for two reasons. First of all, my kids are too far from home now and I cannot let Dear Hubby go through that alone. Also, I want to be there for Elsie. No, I must be there for her. 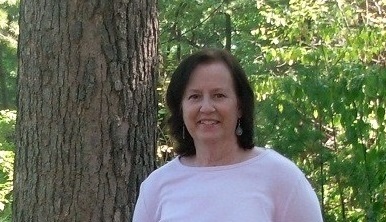 After all, she has been my loyal grief and cancer witness and secret keeper. I will not let Elsie down when she needs me most, though even if I did choose not to be there, I know that would be okay with her. I will be there to look into her eyes once more and tell her she’s a good girl and that she is loved. I will watch her take her last breath. I will watch her find peace. And then from that day on when I remember and reflect about Elsie’s years with us, I will focus not on the sadness, but rather on her legacy of love. Do you have a special pet, or one that you remember? Have you ever euthanized a beloved pet? You have me in tears, Nancy. I am so sorry you are going through this with Elsie. I have a hard time accepting mortality, especially with my pets. It just seems so wrong to me. As you know I recently lost my Layla and I am still feeling very sensitive (just got her ashes over the weekend and have a little memorial at home for her). I had to euthanize my Bingobella because she had cancer and it was making her suffer. It was the most painful thing I ever had to do in my life (first time). This happened last year and I still cry over it. I chose to be present and made sure I was the last person she saw. When the first injection was administered, she ran to me. She rested on my hands. It was hard. I can’t even talk or write about it without crying. Do I regret being there? No. It was the least I could do for her after all she gave to me. I wanted to make sure she knew I loved her and that she had found peace. I allowed myself to have some inner peace by choosing to be there for HER. Do I feel guilty? Yes. I think it is natural for us to feel guilty. It is a heavy responsibility to have. But I could never allow my pets to suffer. I always remember my pets: Angel (dog), Goofy (dog), Basil (piggy), Layla (piggy) and Bingo (piggy). If there is heaven, they will be part of mine. I am glad you are enjoying Elsie every day. Trust your love for her. Trust you are doing the right thing for her. She is not just a “dog” she is your family and she knows it. Rebecca, It helps to know you understand. And you’re right it is a heavy responsibility deciding about that invisible line, but we can’t let them suffer. That would be wrong. Thank you for sharing about your dear pets. I agree, pets will part of my heaven too. Thank you for your kind words. see them suffer, but it is also so hard to see them go. I had dogs all of my life and my last one was just too hard to go thru it again. I feel for you, in time it gets easier but you will always have a hole in the heart. Linda, Yes, it’s so hard to let them go and the hole remains. Luckily, so do the memories. And the love. Thank you for sharing. My girl Lady died last year of hemangiosarcoma. Six weeks passed between the time she was diagnosed (and had a splenectomy) until the day we had to say good-bye. They were good weeks, until the last day. I knew how limited our time would be, although of course I hoped against all odds – But I treasured that time then and now, through the tears. I have always been with my pets when it has been time. I believe I owe it to them to comfort them when they’re scared and hurting, as they have always been there for me and have given me so much joy. It is so, so hard. I am very sorry. My heart goes out to you and your family, Nancy. Elsie is so blessed to have you and your plans for her sound wonderful. We euthanized our beloved 15 year old border collie/lab 14 months ago and when the time came, we all knew it was the final gift we could give to our loyal, loving, wonderful companion. I was going through gruelling chemotherapy, and he had managed to rally to be with me for the first 3 cycles, almost as though he wanted to make sure that I would get through the remaining 5 rounds. We were so blessed to have had him in our lives and your post has prompted a flood of amazing memories of him. I will forever be grateful to my husband, who had welcomed Fisher into our lives “under duress” and who wisely said in the last year of our dog’s life, “His glory days are over; it is up to us to make these his glorious days”. And that we did, although the disability and anguish that having breast cancer caused me certainly impacted our ability to do that, and it is one more loss arising from this terrible disease. On a side note, a year before I was diagnosed with cancer, Fisher started to bark when he was with me with no apparent explanation. We sought the opinion of three vets and all attributed it to canine cognitive decline, a type of dementia. In retrospect, I can’t help but believe that he could smell my ugly tumour long before it made itself known to humans, and he was trying to warn me and/or express his distress about it. Has anyone else had a similar experience? Our cancer centre is currently studying the breath from lung cancer patients to see if dogs are detecting it. So fascinating. Continue to cherish every moment with Elsie and know that she will always be in your heart, as our beloved Fisher is in ours. Elaine, That must have been so hard to go through that while undergoing chemotherapy. I’m sorry you had to deal with so much all at once. That’s an amazing story you tell about Fisher barking inexplicably. I wonder if he did indeed have a sense about your tumor. I believe that is entirely possible. I’m glad there are studies going on now to look into this kind of thing further. Thank you so much for you kind words and for sharing about Fisher. Cathy, Your comments make we wonder if we’ll get six weeks. I hope so. The last week since Elsie’s diagnosis has been so special already. I am grateful for this extra time with her. You’re right, we do owe it to them to be there at the end. Thank you for your caring words and thank you for sharing about Lady. I can almost feel your emotions and letting go. We had a beautiful “goldie” named Nikki. She was 13 when my hubby and I laid next to her at the vets office as she quietly and gently passed. We both wept like babies but it was part of the process. She grew up with our two boys. I am sending you a warm hug as you go through the letting go process because I know it’s not easy. Those warm soft eyes and gentle nudges just can’t be explained unless you’ve had the kind of pet you have. She sounds like a dear. We had to put our cat to sleep this spring. it was very difficult. But he was no longer eating or drinking. It was apparent for several months that the end was coming. We were very upset about it but it came clear when he would no long eat food or drink water, the time had come. When it is the right time, you will know. Hugs to you all. Caroline, I remember reading your post about that. It’s hard to make the decision and even harder to carry through with it. That’s why I love the two quotes I shared from Jon Katz’s book. We cannot lose sight of our responsibility at the end of our pets’ lives. Thank you for sharing and I’m sorry about your cat. I bet you miss him lots, but I bet you have many happy memories too. I had to have my almost 20 year old cat euthanized last November. Horrible. She had been my only comfort in those early days of cancer diagnosis. As a pet sitter, I’m attached to many clients’ pets. But the loss of my own was the hardest blow. I could not bring myself to write about it. My 16-year-old cat was there for me during the early days of cancer diagnosis and treatment. When it’s time for her to leave Earth, it will be a huge blow for me. I can’t imagine how distraught…. CC, I am very sorry about your dear cat. It’s totally understandable why you could not bring yourself to write about it. Maybe some day you will. Our pets are always special, but the ones who go through cancer with us hold an extra special place in our hearts forever. Thank you for sharing about your cat. Linda, Thank you for sharing that very touching story about your sweet Abby. Going through cancer together must have created a very deep and special bond for sure. We are savoring this time with Elsie for sure. Love that bumper sticker message. I cried reading this. This post just hit a nerve, and I’m so sorry that you are all going through this. It is terribly hard to lose a pet. Pets are important family members. They love unconditionally and deserve the best. They don’t deserve to suffer just because we want them around longer. You and your husband are doing the right thing: you will decide when your beautiful dog decides it’s time. You will know. I’m so very sorry about all your family is going through with your dear Elsie. I’ve not had to euthanize any of my pets (my parents had my beloved childhood cat euthanized when I was in college; she had cancer). But I worked for a few years at an animal hospital and helped in the euthanization of many animals. It is such a kind way to die. Beth, Thank you for understanding. And you’re so right, pets do not deserve to suffer and we must advocate for them when their time comes. That must have been quite an experience working in an animal hospital and helping to euthanize pets. I’m glad you can still say that’s a kind way to die. Makes me feel better about it. Thank you for sharing. I am so sorry to hear about Elsie’s diagnosis. Cherish the precious memories already created with her and look forward to the ones still left to share. I would also recommend Anna Quindlen’s book “Good Dog. Stay.” It’s a quick read with some poignant points about dogs and their owners at the difficult end-of-life time. I was just thinking about our dog Oliver, who we first met seven years ago tomorrow. He arrived in the thick of my cancer diagnosis and treatment, so I like to say that he and I grew up together–my post-cancer self and Oliver. He means so much to us. I can only imagine the range of emotions you are experiencing with Elsie. Thank you for such a well-written post and my thoughts are with Elsie and your family. Lisa, Thank you for sharing about Anna Quindlen’s book. It sounds special. Thank you for sharing about Oliver too. He came into your life at a time when you were extra vulnerable, so he undoubtedly will always hold a special place in your heart. Give Oliver a pat on the head for me. Thank you for reading and for your kind words. Nancy, I’ve been in the room for both dogs we’ve had to euthanize, but I couldn’t watch my horse. When I discovered my beloved rescue mutt had bladder cancer, I did have her get chemo at Tufts, as she felt well, and I couldn’t bear to lose her just then. But after 9 wonderful months of remission, she became very ill and it was time. My current dog, my witness, is aging at 11, and I love the previous post that her glory days are over, but we will make this her glorious time. Love Elsie and know that the loss is very, very real and in no way diminished by the fact that she’s a dog: she’s a member of your family and you love her. And, for the previous post about the dog smelling cancer, the woman who founded our lymphedema site–her cocker spaniel pawed at her breast and she discovered her cancer. Kira, We talked about chemo, but it wasn’t a plausible option for Elsie for many reasons. I’m glad your dog got 9 more wonderful months. And your current dog is getting up there, but will hopefully keep witnessing for a long while yet. Thank you for your kind words; they brought a tear to my eye. It really helps knowing so many people understand how hard this is. Cancer is truly indiscriminate. We’ve lost a cat and a dog to it. The dog was my childhood pet so I understand the bigger meaning for your children. The cat was the first gift my then boyfriend, now husband, gave me. We had her as a kitten, watched her grow up and have her own kittens and hoped to see her live to an ancient 20-something cat age. Sadly she didn’t but she was very special all the same. Having to euthanise dearly loved pets is never easy, it always makes me cry yet I know deep down there is a point at which it really is the kindest and most loving thing to do. I wish you good times with Elsie however long they might be. Tracy, Thank you so much for your kind words. It really is helpful to know others understand. Do you have a pet now, Tracy? We are striving to ensure that our beloved Dusty’s last days are full. He has been with us for fourteen years, my constant companion thro Chemo, and a wound that wouldn’t heal. becoming fast friends and offering his supervision to the daily wound care nurse. Three years ago he had a brain tumor removed but now it is back. Three year survival for a feline brain tumour is doing well so we must not be selfish and hope for much more . Most vets will arrange this. MAYBE harder in a way on you but not as traumatic for your pet. Margaret, thank you for giving Nancy your wise advice about having the vet come to the home. This is what we did for Fisher, he who had always dreaded going to the vet. The compassionate, humane vet involved in his care made a couple of house calls before the final one, and Fisher responded so well to him. With his family by his side, talking to him, comforting him, petting him, and loving him, Fisher’s death on his favorite mat in our kitchen was so peaceful, and so befitting the dignified dog he was. Always cherished and remembered. His death and the gift of the legacy he left have greatly diminished my own fears of death associated with my guarded prognosis. Elaine, Thank you for sharing about Fisher. So touching to read your words. Margaret, Sorry to hear that Dusty’s tumor has returned. But how wonderful that you had those three extra years with him. Thank you for the advice. We have considered all options and are comfortable with our decision. My Westie, Roo, was THE dog of my heart, and I have had many dogs. In Nov. of last year, when he was almost 16-1/2 we had to make the difficult choice. I had never been with any of my other dogs when they died, but I HAD to be with Roo. He had been having seizures with iincreasing severity and frequency, so keeping him with me any longer would have been such a betrayal of the love and trust we had for so long. Our vet was wonderful, professional but not cold, explaining each step of the journey (he had been Roo’s vet since Roo was a little guy. I think I even detected a sheen of tears in his eyes, too). I thought I would be frightened or freaked out, but I wasn’t. Sad, yes, definitely. After Roo drew his last breath, his vet gave us all the time we needed to stay and say goodbye. I sometimes wonder how things (memories, grieving) might have been been different if I hadn’t stayed with him. I think I would have felt guilt and denial. Even though it was so heartbreaking,it was the right thing to do. Cheryl, Thank you so much for sharing about your sweet Roo. I’m sure you continue to miss him terribly, as we do Elsie. My German Shepherd died at 9 of bone cancer. She had started limping for a little while but it suddenly got worse and within a few days she was paralyzed. She had a tumor which was destroying her spine. The vet said she had to be put down pretty much asap. I had just given birth to my daughter a couple of weeks before and still feel guilty not to have paid more attention to my dog those last weeks. 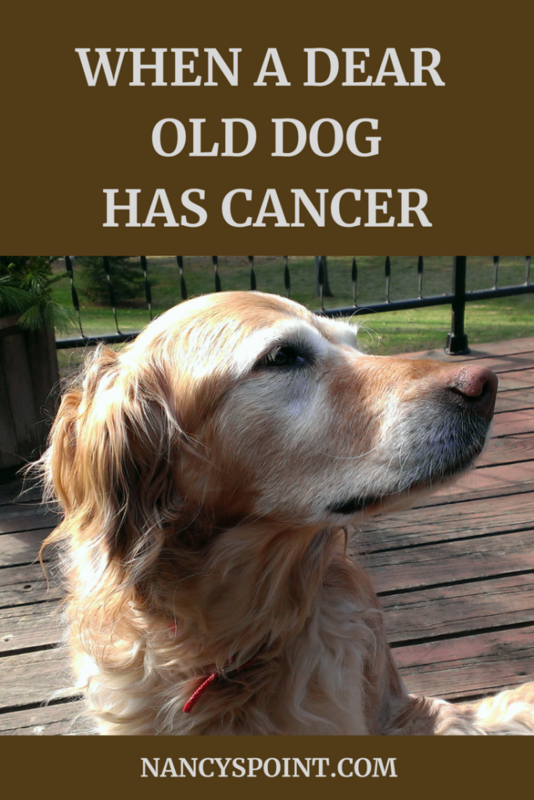 It did help to have her euthanized at home. It was very peaceful. My ex-husband had come over to say goodbye too, she had been our dog. She was the sweetest, loved kids and I had so been looking forward to have her and my daughter become best friends. That’s also the last time I saw my ex-husband because less than three years later, he too developed bone cancer. He died a few months after diagnosis at age 35. Around the same time I learned about his cancer, I too was feeling back and hip pain, which I assumed was due to carrying my toddler around all the time. Just like for my husband a couple of months before, an MRI showed that I had cancer in my bones. In my case, it was metastasized breast cancer. The pain had been excruciating because tumors were crushing my spine. I almost died the same way my dog did. That was three years ago. I feel like I’m the last one standing. Even though we had divorced, I still cared about my husband. Our years together with our dog and two cats were the happiest of my life. My cats are gone too, the last one died while I was hospitalized. My oncologist doesn’t believe there is any connection between my and my ex-husband’s cancer. I don’t think I ever told her about our dog though. The whole thing is just a very tragic coincidence, apparently. Marie, I am so sorry about your ex-husband, your dear dog and your own mbc diagnosis. You have certainly been given a lot to handle. Tragic coincidence indeed. Thank you for sharing about it. Hoping you are doing alright. My best to you. 15 Random Facts & A Blogging Challenge Too!